Matthew Breetzke finally came of age at franchise level with his maiden career century helping the Warriors secure their ticket to the One-Day Cup semi-finals with a nine-wicket drubbing of the Cape Cobras in Port Elizabeth on Saturday night. The right-hander struck an unbeaten 131 off 129 balls (13 fours, 1 six) as the hosts comfortably chased down a 270-run victory target with six overs to spare. He was well supported by his captain Jon-Jon Smuts, who was not out with 92 off 93 balls (9×4, 1×6). The result meant the Warriors secured the final available play-off spot on offer and will now face the Dolphins, a side they jointly hold the title with, in the last four in Durban next week. The other semi-final will be between the Titans and the Cape Cobras in Centurion. Breetzke and his team had entered the round 10 encounter knowing that they simply had to end a four-game losing rut if they wanted to stay alive in the competition. Led by their opener, they responded emphatically with a clinical performance in front of their home fans. The Eastern Cape franchise initially did not get things right, as they lost the toss and were asked to field first. But disciplined bowling ensured the Cobras were restricted to 269 for five in their 50 overs, with Janneman Malan (88 off 108 balls, 10×4) and Kyle Verreynne (62 off 59 balls, 4×4, 1×6) doing the bulk of the scoring. Dayyaan Galiem (39 not out off 41 balls) and Aviwe Mgijama (31) also chipped in, but no one really cut loose as the visitors were restricted to a fairly modest total. Debutant Jade de Klerk impressed with one for 49, while there were also solid spells by pick of the bowlers Basheer Walters (2-50) and Sisanda Magala (1-52). 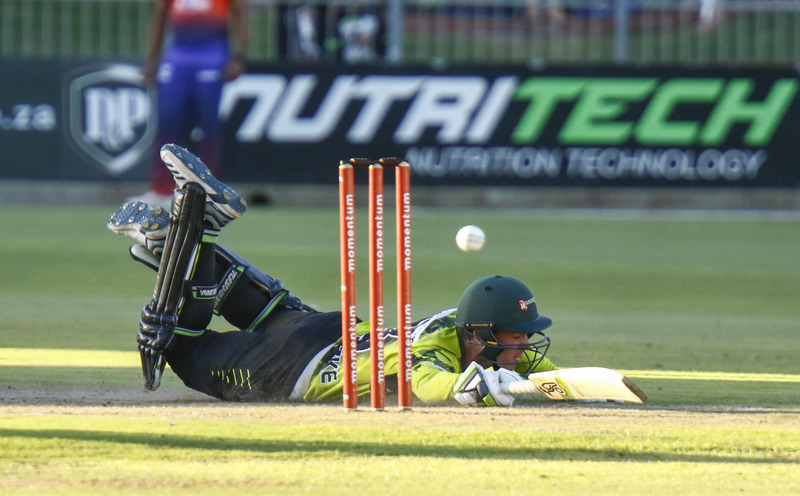 The Warriors were then incisive in their chase as Breetzke and Gihahn Cloete (28) put on 63 in a little over 11 overs for the first wicket before Dane Piedt (1-47) claimed what turned out to be the only wicket to fall. The former went on to beat his previous best score of 94 for Eastern Province against Border at East London last season. Together with Smuts, the South Africa U19 star and his skipper put on an unbroken 207-run second wicket stand – a franchise record that surpassed the long-standing 170 by DL Makalima and JP Kreusch recorded against Western Province Boland at Paarl in 2004/05.